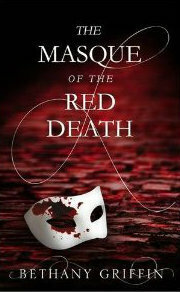 I have a spare copy of Bethany Griffin's The Masque of the Red Death to give away. Open to European residents only and you will need to follow the blog in some way (RSS, email, NetworkedBlogs, GFC). Friend requests on Facebook will be ignored (unless I know you well). You can find all the ways to follow on the sidebar to the right >>> Entry via Rafflecopter below. Oops! Sorry, just saw this is for EUR only - please disregard my entries!